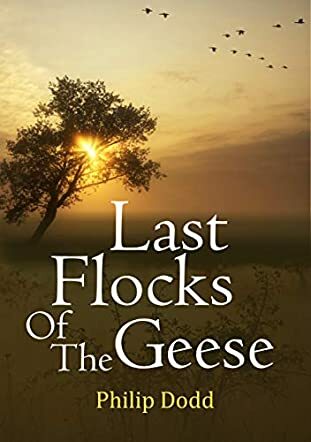 Last Flocks of the Geese by Philip Dodd is a collection of verse that could possibly be described as both deeply diverse and eclectic. Dodd does not limit himself in his topics and ranges across various time periods and historical characters seemingly randomly and yet it works well and runs together beautifully. Unlike many poetry collections which are brief and sometimes leave the reader feeling short-changed, Last Flocks of the Geese is a substantial work with over a hundred and seventy individual pieces that vary from short and pithy to relatively long and thought-provoking. The author swings seamlessly from biblical characters such as David and Goliath or Noah, to explorers like Matthew Flinders, right through to Kafka, T.S. Elliot and Shakespeare. The overarching theme, it seemed to me, was to both celebrate man’s ingenuity and achievement but also to shine a light on man’s folly and arrogance. I think Philip Dodd managed to tie together a disparate set of thoughts and verse extremely well in Last Flocks of the Geese. As with any collection of poems or stories, there are some that resonated more with me than others. One of the poems that spoke to me the most was the very first poem, which perhaps especially today had real meaning for me. The Healing of the Rift speaks of man’s eternal obsession with improving his lot in life by migration. It speaks of the dangers for the migrants as well as the fear immigration raises in those whose lands are being infiltrated. The idea of one side building a bridge while on the other side they raised their weapons was so relevant in today’s world. I also particularly enjoyed one of the longer poems in the collection. The Life and Burial of Lizzie Siddal was an homage to an artist’s muse. I found this extremely poignant and moving. There were many others that caught my attention such as Lament for the White Rhinoceros and Records in Your Room, which brought back memories of the sixties for me. This is a satisfying read and if clear verse is your genre, I know you will enjoy this collection.